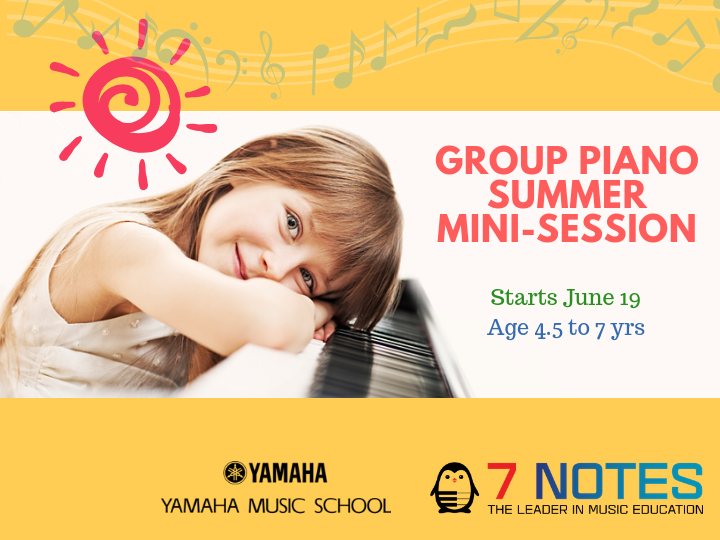 Our introductory 8-week group piano program is for new students that are considering to enroll in the Fall and want to fast track to the next level! This is a great way to get started! Parent participation is necessary. Junior Musician, ages 4 1/2 to 5 years old (must be entering Kindergarten in Fall 2019). One payment of $450 or two payments of $239 . Includes Yamaha Educational Materials, two Yamaha Musical Wonderland Books , CD and carry bag. Includes Two Yamaha books; workbook, CD & DVD and carry bag. Please RSVP for preview class on April 6@2pm.